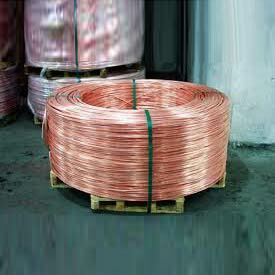 National India Refinery is a reputed firm that is involved in providing a wide assortment of Copper Coil to the clients. Used for various industrial applications, the Copper Coil offered by us is dimensionally accurate, rust-proof, seamless finished and heat resistant. We can provide soft annealed, plain, single/double layer and plastic coated Copper Coil to the clients in different specifications at the industry leading prices.